Later in the day, she expanded on her grievances against the council at a speech she gave to the Graduate Institute of Geneva, noting that the UNHRC had, by then, passed "more than 70 resolutions targeting Israel" since its inception in 2006, but "just seven on Iran." The UNHRC has passed more resolutions against Israel than the rest of the world's countries combined, according to the Geneva-based UN Watch. "This relentless, pathological campaign against a country that actually has a strong human rights record makes a mockery not of Israel, but of the council itself." She also called on the body to do two things: "Act to keep the worst human rights abusers from obtaining seats on the council," and remove permanent Agenda Item 7, which requires that the council address the "human rights situation in Palestine and other occupied Arab territories," regularly when it meets. Trump later echoed those demands in his speech to the United Nations General Assembly (UNGA) on September 19, 2017, calling the inclusion of governments with "egregious human rights records" in the UNHRC a "massive source of embarrassment to the United Nations." He also singled out North Korea and Iran for their hostility to Israel. 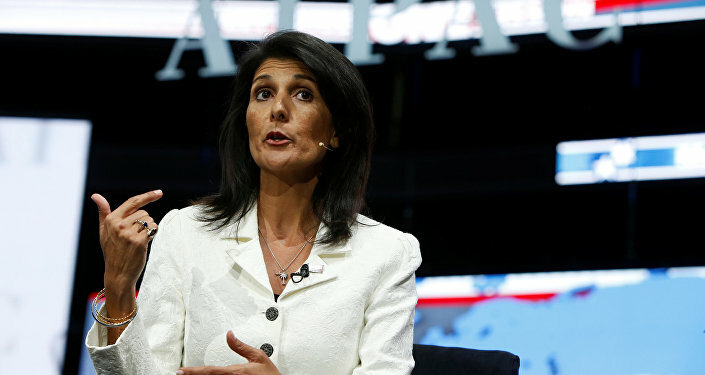 After the UNHRC, a body of 47 nations, adopted five resolutions condemning Israel on March 23, 2018, Haley warned "our patience is not limited," reminding the body that "The United States continues to evaluate our membership in the Human Rights Council." Those resolutions called on governments to stop selling weapons to Israel; for Palestinian self-rule according to Israel and the Palestinian territories' pre-1967 borders; for Israel to remove itself from the Golan Heights, which it has illegally occupied since the 1967 Six Day War; and for an end to Israeli settlements and human rights abuses against Palestinians. Haley called the council "foolish and unworthy of its name" for treating Israel "worse than North Korea, Iran and Syria." The US ambassador hasn't only struggled with the Human Rights Council, but also with the UN General Assembly and Security Council. On Wednesday, she failed to prevent the assembly from condemning Israel's use of deadly force against Palestinians demonstrating in the Great Return March after having vetoed a similar resolution in June. She fired back against the vote, saying that for some, "attacking Israel is their favorite political sport." 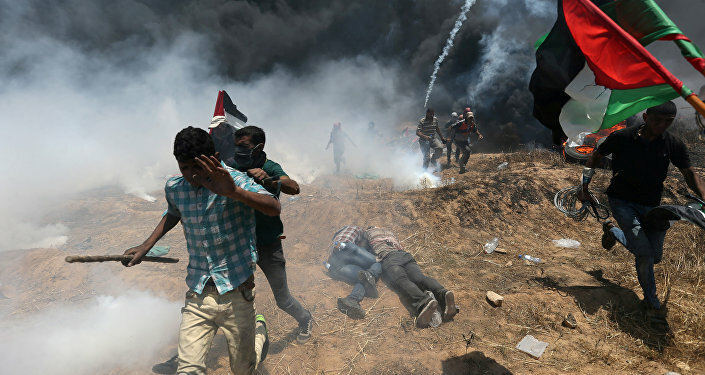 More than 120 Palestinians have been killed and more than 13,000 injured, many by live ammunition, since the start of the protest on March 30, Sputnik News reported. 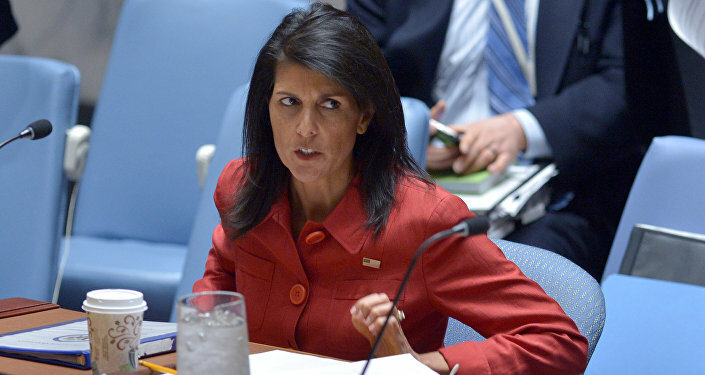 Haley previously told the UN Security Council that Israel acted with "restraint" in the protests. One Israeli soldier was "slightly wounded" in the protests, according to an IDF spokesperson. The US has boycotted the UNHRC before, as former President George W Bush and his Ambassador to the UN John Bolton — now Trump's national security adviser — opposed it from its outset in 2006. The Bush administration refused to run in its first election and also declined to participate the following year. The main points of opposition then were the "focus on Israeli human rights violations while failing to address human rights abuses in other parts of the world," according to the US Congressional Research Service's 2009 "Issues for Congress" report on the UNHRC. Trump's Jerusalem Policy Unites United Nations — Against United States!